My first glamping holiday with the family was, at least partly, organised as a good way to get the kids away from the iPad and X box and back to just being kids, playing outside and actually talking to us as parents! It was a success, the kids learnt the art of making a fire, and we enjoyed the ancient art of charades to candlelight. 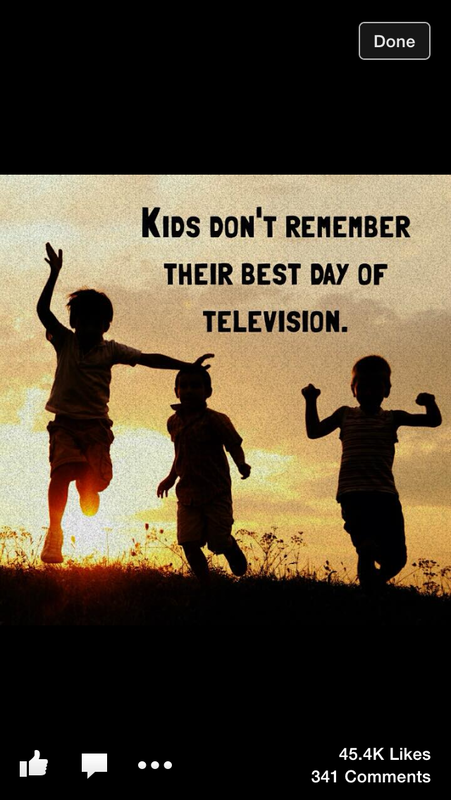 I was reminded of this recently when a friend posted on Facebook that he was having a device free week with his family where he locks away everything with a screen and after a day or two the children are back reading books, drawing, and playing outside. There is even an organisation to promote going device free. http://www.screenfree.org organises screen free week, which this year is May 4th -10th. It encourages everyone to go screen free, and helps with activities to do instead, as everyone with children will know, the thought of going device free without a fully planned alternative to keep those little darlings entertained is a scary thought! I like technology as much as the next person (I am writing this on a laptop, downloading photos from my phone, and at the same time watching TV!) However when it comes to families and children, a little bit of screen free is a lovely thing.